It is important to remember how fickle life can be. It seemed like the smallest moment in time, it happened so quickly, but it detrimentally changed my life forever. We have all had a misstep, or stubbed a toe, rolled an ankle or lost our footing. Where I went wrong is that I slipped while diving into my backyard pool consequently shattering my sixth cervical vertebrae rendering me a quadriplegic. I could have very easily died that night, I ran out of breath and my lungs filled with water. Every great story has its conflict and I am determined to give mine a happy ending. In my struggle with this injury, my eyes and heart have been opened to so many things that I had previously taken for granted. I discovered caring and compassionate people in the medical field, a deeper understanding of the meaning of family, and the true value of friendship. I also rolled into this world I never knew existed, or never thought to notice. I have found a community of new peers that have embraced this massive crutch and created full and satisfying lives that most newbie quadriplegics would not dream possible. Though I have had to part ways with what I thought would be a lifelong career in the food and beverage industry, a job that I truly loved, I have an exciting road ahead of me. This life change has given me a new set of goals with a deeply rooted determination to accomplish them. I am indebted to so many people; its beyond words to truly express my gratitude. My new mission in life is to give back, to return all the kind gestures, good deeds and quiet sacrifices that have been made on my behalf ... and find a way to pay these forward. 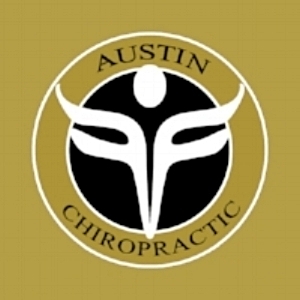 The goal of this fundraiser is to help promote awareness about the spinal cord injury community while enjoying great people, the best food in Austin, handcrafted cocktails, and energetic entertainment. Proceeds from the Pay it Forward Benefit will help fund rehabilitation equipment, adaptive sports programs, research, rehab equipment and outreach and support for those with new injuries.